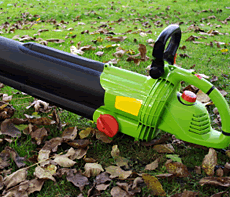 Want to keep your leaf blower functioning through future Autumn's? Leaf blower maintenance will be key in ensuring you do. The thing is leaf blowers have a number of product features and moving parts that require periodic preventive maintenance. Gas powered engines are especially vulnerable if not started throughout the entire winter. If you find fall sneaking up on you bring your leaf blower into any ReadyRepair locations for detailed and precision preventive maintenance.